The Little Trick: a great looking everyday carry pack with some hidden attributes that you expect from Eberlestock. More than just a pack, this is an innovative concealed weapons pack, with a quick-access built-in pistol holster as well as the ability to carry various carbines or long-guns. The Little Trick: a great looking everyday carry pack with some hidden attributes that you expect from Eberlestock . 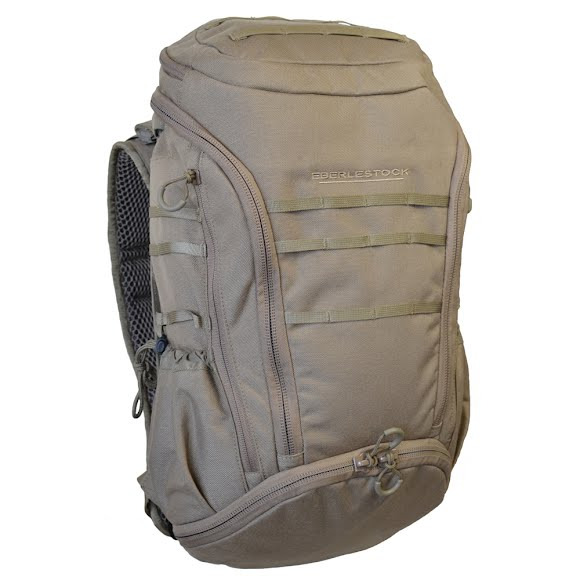 More than just a pack, this is an innovative concealed weapons pack, with a quick-access built-in pistol holster as well as the ability to carry various carbines or long-guns. The zip away top allows full-frontal and top access to the main compartment; pull the zippers to quickly unveil a carbine or folded rifle. As a handy alternative, the scabbard and adjacent full-width pocket double as excellent stowage sleeves for laptops and documents. The Little Trick has a full-featured organizer array in the top pocket and an intuitive, easy-access layout. Expandable bottom increases volume and lengthens the scabbard, allowing you to customize the pack for load size and weapon length. New MOLLE-10 webbing offers the ability to carry standard 3-row MOLLE accessories, with a 60% weight savings over standard 25mm MOLLE matrixes.